1. Is there any possibility to set up the VU-Meter (don’t know if it's the correct term, I mean the dB-level loudness bar) permanently without the lines going throughout the whole waveform? 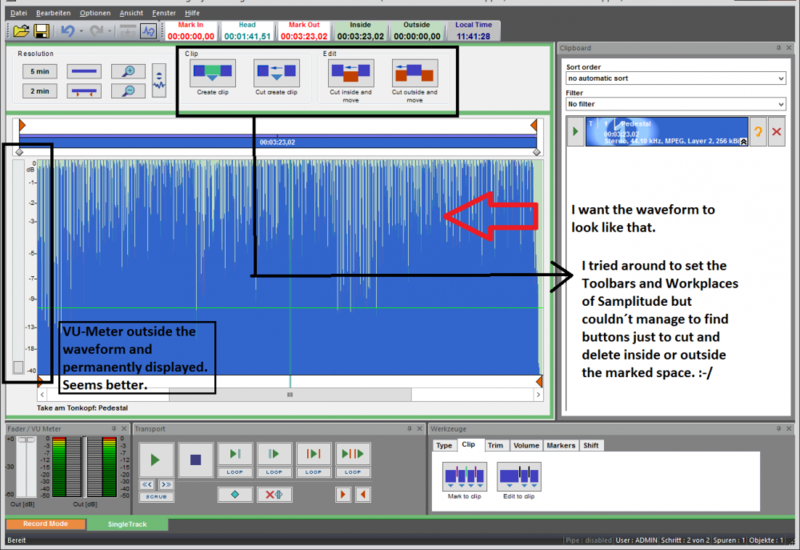 (Image 1) I mean I want to see the loudness scale shown generally at the left side but without the lines like in mp3DirectCut (Image 2). I worked around with the bar pattern settings already but it didn't solve my issue. 2. 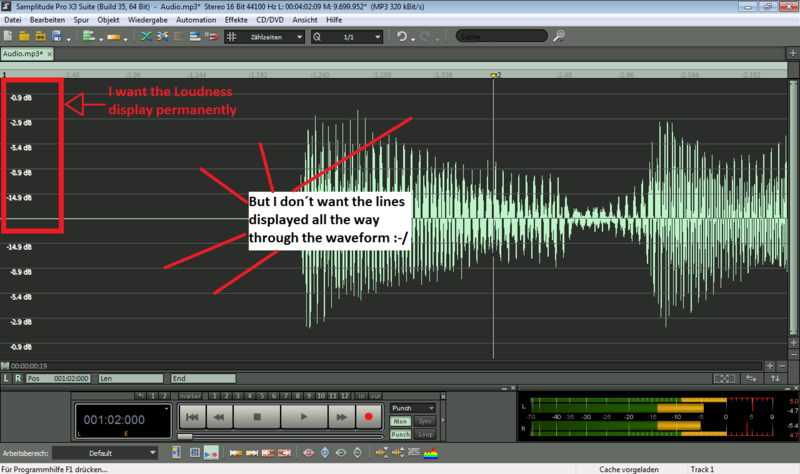 I would like to change the waveform display into the staircase-shaped Manhattan skyline-like look. 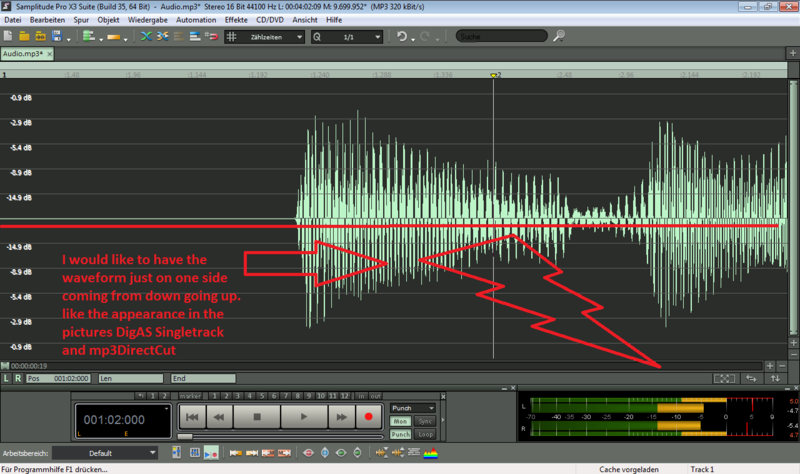 (like in Image 2) I tried around with the waveform options and played with the option box "halved waveform" (Image 3, 4) but didn't make any difference. 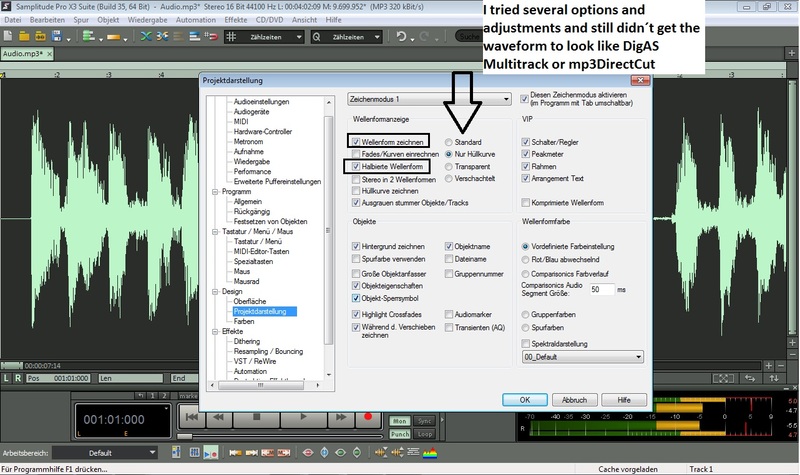 I would like the waveform fixed at the bottom rising up and down instead of the regular waveform like it's in mp3DirectCut or DigAS Singletrack Editor (Image 5).